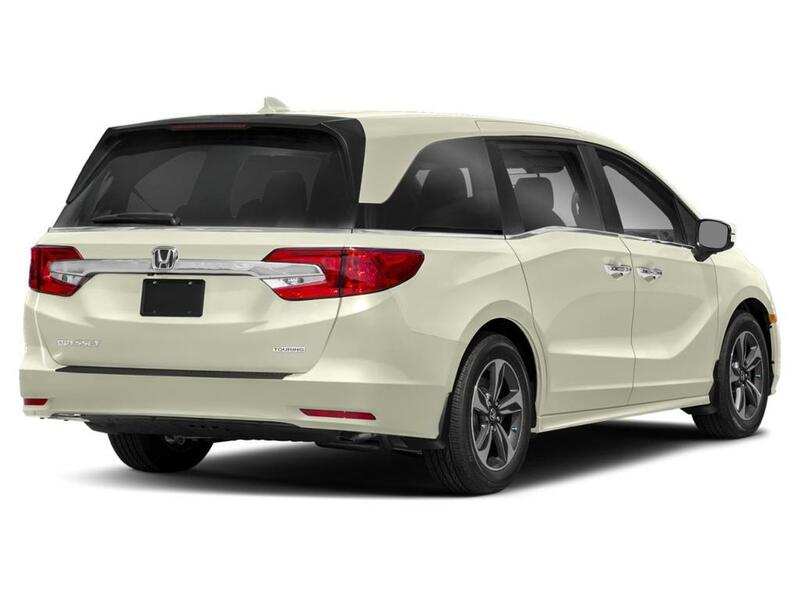 When you choose Nanaimo Honda, you’re connecting with a company that has the knowledge and the know-how to make sure its customers get the most out of their vehicle and services. With that in mind we’ve set up a fantastic Specials area to show off all the currently-available offers. You may just find exactly what you’re looking for here and a price that can’t be beat! 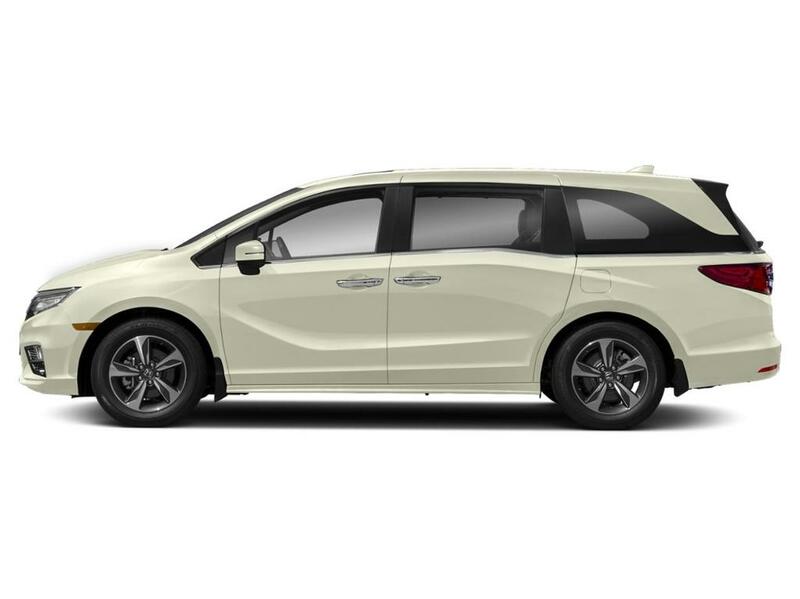 Come back often to see what offers Nanaimo Honda has to offer you today. "We have the drive for you"
Fast, courteous, and even cheaper than I was expecting! Quick ride home and back while my truck was serviced. 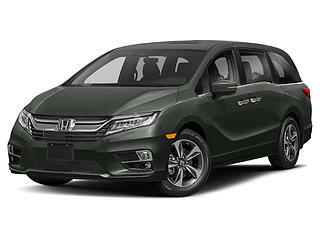 I purchased a used vehicle last week from Nanaimo Honda. Callum was polite and incredibly knowledgeable on the vehicle I was looking at. He showed me all of the features prior to driving the vehicle to ensure I was comfortable. Overall, it was a great experience buying from a dealership for the first time. Thanks again! The staff at Nanaimo Honda in parts and service are fantastic! They are always friendly and take the time to answer and explain any questions you have. Super great to deal with!! I highly recommend this dealership!! It was my first oil service experience today. The best part were the people who made it what it was. It felt like a comfortable return to see the new acquaintances I had met at the time of purchase. In a short time and with thoughtfulness in mind, my Accord Sport Girl, “Red”, was ready to go. With fresh new oil and filters, a once over done, and they even found a short staple gun staple in my tire. Their eye for details has helped me to feel protected. I shall make the trek from Campbell River again for the Honda Nanaimo staff experience alone. The folks at Nanaimo Honda give such great service that I've stayed a customer even after having moved over to Vancouver! They treat me with respect, really work to understand my needs and find a way to meet them. They are also flexible and friendly! Service was good and speedy. I would give you 5 stars but while I understand the business of “upselling” it is a bit much. Charging $8 to install rear wiper blade during a regular oil change. As well your billing system is a bit confusing. I've bought two cars from this local, small city dealership. Sure it's the only Honda dealership in the Nanaimo area, but even if it weren't I'd still only buy here. They look after their customers period. If you go check them out I recommend you ask for Omar in sales. Omar is bright, honest, nice, and really knows his stuff. And if there's some detail about a car he's not sure of, which is rare, he gets you the answer. I've also had the pleasure of dealing with Natalie for finance, and Jason in service. Amazing customer service by all. Even if I didn't live in Nanaimo, I'd still come here to buy a car. I was very impressed. Even though I was just there for a safety recall so they weren't making money and it was for an old vehicle, the man at the service desk treated me with kindness and respect. The wait was short, a courtesy shuttle was offered, and I felt well looked after. We bought a pre-owned Honda Pilot from Nanaimo Honda. The main purpose of buying the Pilot was to haul a small travel trailer, so we wanted a tow package installed on it. Also, the technology in the Pilot was very advanced compared to previous vehicles we had owned. We therefore had many questions. The staff at Nanaimo Honda was very helpful and made every effort to fully resolve our questions and issues. We were very pleased with the service and with the result, and would happily do business with them in the future. Knowledgeable and friendly staff, made the whole process of getting my new car easy. Omar did a great job of answering any questions I had about the vehicle. A special acknowledgement to Derek Yan, I appreciate how he spent the time making sure I made the best possible choice for the rest of the process and that I was comfortable with everything before I signed any paperwork. I will definitely be going back. Great service, very friendly staff. Very welcoming environment without pressure. Thanks again to Paul & Natalie for making things happen for our family! I've bought two cars from this local, small city dealership. Sure it's the only Honda dealership in the Nanaimo area, but even if it weren't I'd still only buy here. They look after their customers period. If you go check them out I recommend yoyyask for Omar in sales. Omar is bright, honest, nice, and really knows his stuff. And if there's some detail about a car he's not sure of, which is rare, he get gets the answer. I've also dealt with Natalie for finance and Jason in service. Amazing customer service by all. Even if I didn't live in Nanaimo, I'd still come here to buy a car. The sales team treated my wife and I exceptionally well. Bought a 2013 Rav4 in excellent condition, and they where extremely generous with the trade in value of our PT cruiser. Great. We took advantage of their shuttle service and went and did our grocery shopping while our car was being serviced. Wonderful and friendly service all around. Reese and Sandy were fantastic resources and had a very straight forward approach in the experience. They listened to our concerns and really took in to account what we wanted! Thank you for everything! Kelly was a huge help with my car - when the fan belt they replaced continued to make noise they had it back in asap and fixed within a few hours, and while the recent power outage caused a bit of delay, they also helped fix an additional problem that had popped up with some of the door-activated features. Lots and lots of thanks, love going somewhere I know I can trust to take care of my vehicle! Also really love the complimentary shuttle service which means I don't have to worry about finding rides to work and back. The driver was very friendly and also dealt with some really nasty bowen road traffic during the power outage to get me back to the dealership and my car! Everything went smoothly. The service staff were very courteous and knowledgeable. A+ for the customer service in my books. I was very pleased and impressed, and I would refer them to anyone! 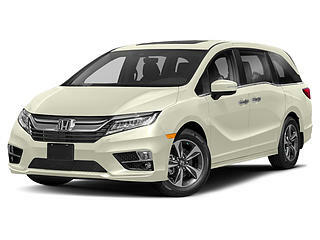 Just bought a 2019 CR-V. This is the sixth new car I have bought at Nanaimo Honda over a period of 25+ years. With this purchase, Paul Hodges did a great job in showing me the features of each CR-V model and of our new car at the time of delivery. The service department is excellent as well. I bought a Honda CR-V and my experience with the dealership, and particularly with salesman Omar Nada, who was highly knowledgeable and super helpful, was absolutely excellent. Much much appreciated the great service. Excellent customer service, even when buying a used vehicle. Customers treated well. Staff friendly and knowledgeable. Nanaimo Honda was thorough and helpful. They took the time to discuss the issues with us and there was no pressure. Would recommend them for sure. Thanks Evan Gibson for hooking me up with my new CR-V from Nanaimo Honda. I thought I'd always be a truck guy but this little thing is pretty slick! Ride is solid and you can't beat the fuel efficiency. I'll be back to a truck one day but until then I'll have to be a truck guy at heart. Also thanks to Natalie Craig for working hard on dealing with ICBC on my behalf. Good experience at the parts & service dept. from Sam H. & Michelle. I purchased new tires and an wheel alignment, their mechanic found another issue while doingthe repair. 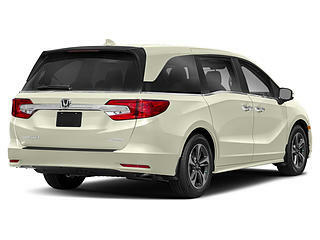 Honda called me and explained and confirmed the price before going ahead with it. I was already aware that repair was coming up so I was glad to have it all done at once and for a reasonable price. The mechanic was very thorough and left me a note with any other upcoming repairs that would be needed so I could plan for them. What is best from a vehicle service centre ? Longevity of the vehicle, reliability and safety of use, and prompt professional service. 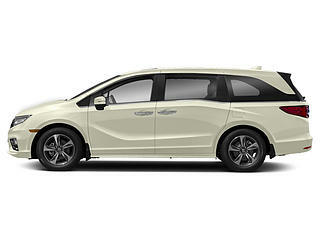 I have experienced Nanaimo Honda for three years, and always found each of these to be completely excellent, with well informed and high quality customer service. They were very efficient and professional. I appreciated that they got me in on short notice and it cost less than other places. Very kind and welcoming staff. The shuttle is hugely valuable so I can continue on with my day and errands while my car is being serviced. They will drop you where you'd like to go, and pick you up when your car is ready. Nanaimo Honda has always treated our company very well. Prompt service and always make sure your satisfied with the work.